Dr Warwick Vincent obtained his B.Sc. (hons) from the University of Auckland, New Zealand, in Botany and Cell Biology, and his Ph.D. in Ecology from the University of California at Davis, USA, with postdoctoral studies at the Freshwater Biological Association, United Kingdom. He was appointed to a faculty position at Université Laval in 1990. Dr. Vincent has conducted ecological research on lakes, rivers and coastal oceans in several parts of the world, including the subtropical convergence (South Pacific), Lake Titicaca (Peru-Bolivia), Lake Biwa (Japan) and the St Lawrence River. His research group has a special interest in the relationships between microscopic life at the base of aquatic food webs and physical aspects of aquatic ecosystems such as solar energy supply, temperature, mixing regimes and climate. Most of Dr Vincent’s research, books and articles have focused on the polar regions, with his first expedition to Antarctica in 1979. Working with the USA National Science Foundation, he played an early role in the environmental protection of the McMurdo Dry Valleys of Antarctica (a Long Term Ecological Research Site), culminating in an internationally accepted management plan and Environmental Code of Conduct. Dr. Vincent is currently working with Spanish and Belgian collaborators on the Antarctic program RiSCC (Regional impacts and Sensitivity to Climate Change), but most of his research activities are in the Canadian North. He is a contributing author to the ‘Arctic Climate Impact Assessment’, is subprogram leader (microbial ecology) within the Canada Arctic Shelf Exchange Study, and leads Theme 2 within ArcticNet. He is working closely with Parks Canada in Quttinirpaaq National Park at the northern limit of Nunavut, on the diverse ecosystems of this region and their sensitivity and value as monitoring sites for global change. In addition to his university teaching commitments, Dr Vincent participated as an inaugural member of “Students on Ice”, an ongoing Canadian initiative to take high school students to both polar regions and to educate them about global science. 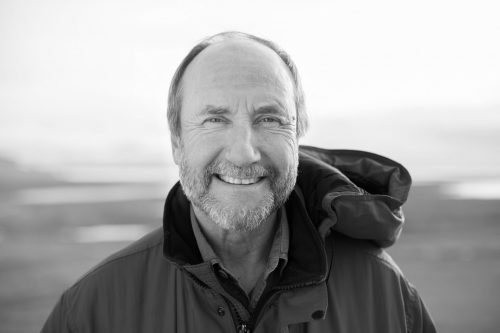 He is past President of Canada’s National Antarctic Committee and has chaired the NSERC Discovery Research Grants committee in Ecology and Evolution. In recognition of his commitment to environmental research and education he was awarded the New Zealand Gold Medal in Science and the Canadian Rigler Prize in Limnology. He is a Fellow of the Royal Society of Canada, and honorary fellow of the Royal Society of New Zealand.